Well...let's see if I can thread this needle. It is apparent that Hifiman is aiming to please reviewers like Tyll Hertsens (who has repeatedly stated that he favors laid-back treble response) by altering the frequency response and the sonic characteristic of their headphones. Hysterical on so many levels. For starters, geting the Sundaras from HiFiMAN was a bit like pulling teeth. I've been both complementary and critical of HiFiMAN products over time, and believe me, no company, including HiFiMAN, likes it when I'm critical. Companies are way too interested in their own idea of what good sound is to worry about trying to please reviewers, and if they've got any plans for me it's usually just not sending the headphones at all. This has happened numerous times with numerous companies, but I've never felt a company was pandering to my taste. The airy, shimmering, smooth, utterly transparent and effortless sonic character that Hifiman was famous for in the past is now gone and been replaced by an equally effortless, but much darker and "veiled" presentation that will undoutedly be more forgiving and more to the liking of reviewers. The high frequency resolution of the Hifiman headphones was a problem in the past: Because of this articulation and clarity, they often sounded accentuated and piercing in the highs when coupled to mainstream amps. My opinon is that a number of HiFiMAN headphones simply had overly bright and/or uneven treble response. When I read this post what comes to mind is that there is a category of listener that enjoys overly bright response mistaking it for clarity. In my experience, really good treble response is characterized best by a smooth sense of resolve. Real violins heard in the flesh are smooth; it takes a really good audio reproduction system to make them sound that way. IMO, the above quote evidences unresolved cognitive dissonance. On the one hand, the poster says it's his opinion that HiFiMAN headphones have "probably the BEST treble response in headphone-dom" and then claimed HiFiMAN headphones are famous for "airy, shimmering, smooth, utterly transparent and effortless" treble response, essentially mating his opinion with broad fame. And then says, "The high frequency resolution of the Hifiman headphones was a problem in the past: Because of this articulation and clarity, they often sounded accentuated and piercing in the highs when coupled to mainstream amps." Well, then that's what they're really "famous" for and many HiFiMAN headphones were simply too sizzly on your average headphone amp. The poster just plain likes bright headphones and doesn't know he's outside the norm. But I think your comments that Hifiman produced Sundara to please Tyll is totally ungrounded. He didn't say he favors laid-back treble response, but he said he doesn't like irregular peaks in lower treble/upper mids. And who like irregular peaks in those regions? I don't think his such preference is far from general public. Also, if he likes laid-back treble response, he should favor hd650 over hd600 and lcd4 over utopia, but it was opposite. Actually, I do say that I like my sound a little laid back, though it's also true I don't like irregular treble peaks. The thing to get here, really get, is that liking my headphones a little laid back doesn't mean I'll pick the warmer headphone every time. I like it close to neutral but a bit laid back; I don't like a headphone that's too bright or too warm. Everyone is entitled to their own opinion; if you like things that are significantly brighter than neutral, fine, enjoy. But it's a mistake to assume your tastes are the norm and that manufacturers are pandering to me or other reviewers by making a headphone that's not as bright as your tastes desire. Everyone is entitle to their opinion, but just because you're entitled to it doesn't mean you're centered on the Bell curve. Interpreting a less-bright-than-usual HiFiMAN headphone as the company pandering to reviewers is a poor thinking. A more sensible conclusion is that HiFiMAN headphones were often too bright (even though preferable for the poster) and they are now dialing them in closer to a neutral target response, which just happens to be what reliable professional reviewers will likely also prefer. It's easy to mistake the right to an opinion, for one's opinion being right. I hope and strive to walk a middle way in my reviews. I try to advocate for neutral, but I know my taste runs a bit warm. My opinions are just one man's opinions, but they are opinions of someone with long experience. I work hard to ensure they're a useful and stable marker for people. I don't think InnerFidelity's reader experiences will be the same as mine, but I do think my reviews are centered, fair, and provide good advice for the average listener. "What the Hell does all this have to do with the Sundara!?" Good question. All that above dialog is so that you know exactly what I mean when I say: I find the Sundara to be close to neutral but leaning towards slightly bright. I don't mean the Sundara brighter than I like and therefore brighter than neutral. Neutral is a bit brighter than I like, and the Sundara is a bit brighter than that. But it's not errantly bright, it is close to neutral. I actually think it's a damned good sounding headphone, especially for folks who like a slightly cool response, and I think it's a significant step forward for HiFiMAN. But, no, it's not really my cup of tea. Like most open planar magnetic headphones response is essentially dead flat from 600Hz down to 20Hz. While I like some bass boost, many people familiar with the sound of most planars will find the bass response well extended and at a good level. The dynamic impact of the bass through mids is somewhat soft (as opposed to dynamically punchy)...and, somewhat surprisingly, I mean that in a good way. I find it interesting that soft dynamics doesn't necessarily mean mushy or slow; I remember reviewing the HE-1000 and finding their soft character made them an "incredibly pleasant headphones to experience." I think the Sundara has some of this character. I hear the presence region (say 800Hz to 3kHz in this case) of the Sundara to be a bit laid back. Combine this with the soft character mentioned above and I hear the Sundara as a remarkably relaxed listen. Vocals are a bit distant sounding, but not excessively so, which seems, in the end, to deliver a spacious image in the headboth modestly wider and deeper than normal. Treble above 3kHz sounds a bit hot to me, but I think this may be, at least in part, due to my perception of a lack of enough bass weight and a laid back presence region. My measurements show this area almost perfectly lines up with the Harman target response. I felt the treble quality was quite goodnot astonishingly smooth, but not grainy or peaky either. Just kinda competent and right down the middle. Here's the EQ I set for the Sundara. You'll notice the magnitude of all the settings is pretty small...the Sundara is quite close to neutral. I know a lot of folks want a comparison to the HE-560. Unfortunately I don't have a pair here for comparison, but from memory, the HE 560 was similar but harsher sounding than the Sundara. The HE-400S is one of my favorite HiFiMAN headphones and I have a pair on hand. Though they lack bass extension they do a lovely job of giving vocals balance. They also play to my preferences with a slightly laid back treble response, but I do hear the presence and treble response as more uneven and a tad grainy compared to the Sundara. Though my personal preferences cause me to feel this a close call, the Sundara is pretty clearly the more technically capable headphone. It's a rather odd comparison, I know, but because of my impression that the Sundara sounds a bit like it, I spent a bit of time switching back and forth with the HE1000 V1 (sorry, no V2 in the house) and also the Focal Cleartwo very different headphones. The HE1000 is wispy, soft, and relaxed, while the Clear is immediate, present, and...well, clear. Interestingly, the Sundara seemed to split the difference almost perfectly, a love child blend of the two. Personally, I think I prefer the Sundara over the HE1000 V1 for it's somewhat meatier response, but the Clear easily bests the Sundara by going further in delivering immediacy and presenceas it should at three times the price. In the real world, the Sundara's natural competitors are the MrSpeakers Aeon Flow Open and the Audeze LCD2 Classic, both of which are $300 more expensive. Well, the Sundara surely holds its own in this company. While the LCD2C has quite a bit more dynamic punch and better tonality through the presence region giving voices more heft, it's also got some missing energy 4-8kHz and can sound somewhat muted or dull as a result. By contrast the Sundara sounds light and soft with it's cool tilt, but also more more balanced and even overall, giving me a better impression of the music as a whole. The MrSpeakers Aeon Flow Open is clearly the more colored headphone with its overly warm upper bass/low midrange emphasis, but it's also smooth as butter with a lovely, musical, smooth treble response. My preference? Boy, that's tough. I'm pretty sure I like the MrSpeakers AFO most, but I have to listen at least ten minutes to mentally accomodate to the tonality. I know it's off a bit, but it's off in a way that's right up my ally. I love the dynamic punch of the LCD2C, I think it makes for a killer rock headphone, and that missing 4-8kHz can be a real advantage with the often found harshness of rock recordings. And I do appreciate the clarity and ease of the Sundarait seems to do very well with acoustic musicbut it could never be my daily driver. It just doesn't suit my preferred sound signature...but it might suit yours! Bottom line: HiFiMAN has done a terrific job of producing a very competitive headphone in this category. Not better or worse than the AFO or LCD2C, just different and valid in its own ways. It provides a solid alternative, broadening the potential appeal of planar magnetic headphones in the category. I think this may be the best HiFiMAN headphone to date. Maybe not in absolute terms, but in terms of being a very well balanced product offering. It looks good; it feels good; it appears to be well built; I think it's priced fairly; and the soundthough a tad coolis well behaved top to bottom and delivers a coherent musical picture. HiFiMAN home page, Sundara product page, and manual. What a marvel. Definitely agree with the WoF this time. Might have to get a pair. Since English is not my mother-tongue, some of the things I mentioned on the headfi forum (Sundara review page) might have been interpreted as offensive, Specially with regards to Mr Tyll Hertsens. I assure all of the readers and Mr Hertsens that it was most certainly not my intention. I have followed the wonderful work Mr Hertsens has done since Innerfidelity started, and have been a great admirer of his relentless efforts and hard work to create a center for higher fidelity head-audo lifestyle and sciences. I have specially enjoyed reading all the technical articles he has kindly provided for the community, and enjoyed all the informative videos he has created and shared with the rest of the world. If my comments on the headfi forum - which was meant as just being funny - in any way upset or offended Mr Hertsens - please accept my apologies. No worries. My motive was to point out the type of errors that people unwittingly make when they're making assumptions. Sorry that put you in the cross hairs. It is likely that Hifiman tunes the Sundara to match the Harman Target Response Curve, since researches showed that average listeners prefer this tuning. If that is case, Tyll may actually exert some influences on HFM's decision. After all, Tyll is one of the major advocates of the Harman Target Response Curve. The speculation that HFM tunes their headphones in a specific way just to please Tyll is absurd though. I didn't say Hifiman tuning the headphone to please Tyll. You misunderstand my words. By the way, why are you using the account of Dr. Fang on Weibo as your account on this website? You are clearly not Dr. Fang. You seems to be a troll. Save your words and frick off somewhere else. The community doesn't need another Fang impersonator when the real Fang's busy gluing drivers together. Distortion seems to be a bit high for higher frequencies. I would have expected these to be much lower given the new and thinner diaphragms. LCD on WOF is big big mistake! In the 2nd sentence of the paragraph under "What does all this have to do w/Sundara", it seems like there's a word missing in the phrase "I don't mean the Sundara brighter than I like" (maybe 'sounds' after Sundara?). In the second to last paragraph before the summary, 3rd or 4th sentence, I think you meant to write alley and not ally (right up your alley). Great review btw, nice to see more heated competition in what used to be a dead $500-1K segment. Not to mention complement instead of compliment. But why are we discussing this? It's really a bad message for the community to think that manufacturer alters the frequency response to match Tyll taste. The clarification was very good. Honestly, I liked all the headphone I bought that were on the "Wall of Fame". I can't say the same for the headphone recommended on other websites (in most cases I didn't like them at all) This is a testament (for me) of the great objective work of Tyll. Keep the good work Tyll! I've always wondered: why do the frequency response graphs go "crazy" in the upper registers? Even the best headphones don't seem to have flat responses up there. A couple things: First there are the ear canal resonances that occur...around 5k, 9-10k, and 15k usually. In the top octave the wavelengths are short enough to stimulate modal resonances and cancellations somewhat randomly in the volume of the earcup. That makes sense. I had a feeling it had something to do with resonance due to the short wavelengths. Has any company managed to "solve" this issue or is it not worth the time/effort? I'm not the person you responded to from Head-fi, but I'd like to give a possible explanation for their take on neutrality. Frequency response neutrality is at best an ill defined concept, and it generally comes down to what target response curve you identify with. You, Tyll, seem to prefer the Harman Target preference curve and Sean Olive's work. By these metrics something like the HE-1000 is indeed bright in treble response. However, another very popular target response is the diffuse field target, of which the HE-1000 much more closely aligns to. I generally align much closer with the diffuse field target myself. The Harman Target Response Curve isn't developed as a target curve for neutrality in the very first place. It is nothing more than a particular tuning of headphone that pleases some small samples of listeners. Every time I see Tyll writing about approaching neutrality, I am confused - how can we reach Rome if the only thing we know about Rome is that it's called Rome? That's a fair point. I don't think Tyll considers the Harman preference curve to be neutral, but what he does consider neutral seems fairly close. Certainly not the diffuse field target. Maybe he can elaborate. 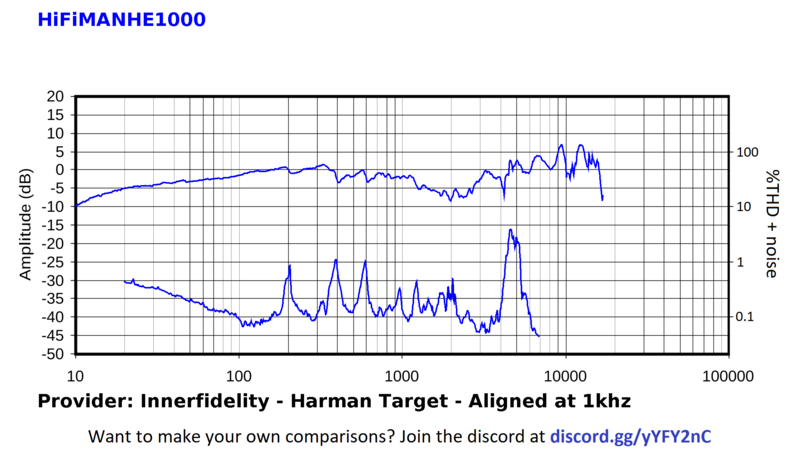 In the time I had my HE-1000, I "heard" it much like the Harman curve. For all this talk about smooshiness, man was it harsh. Tyll, apologize if you have already discussed this, but I would be interested in finding out what is your preferred target response. It is interesting to me, that while the Sundara measures closer to the Harman target (which i think you are a big advocate) than the Aeon Open, you still prefer the Aeons which does not measure as well. I know you mentioned that you prefer a warmer tilt, but how much different from the Harman? To me this is a good example that not everything is measurements , and that sometimes headphones that don't measure "well" still are enjoyable. I have a question about innerfidelity's measurements. They consistently show the bass to be flat down very low on planar. For example, the HE400i. However, I bought Sonarworks EQ, which indicates a sharp roll off in these headphones just below 100hz. Their measurements of many other popular headphones show bass roll off in much higher frequencies than Innerfidelity's measurements. When I play bass test tones on my he400i headphones, it seems to support Sonarworks measurements since the volume of the bass seems to decrease quite dramatically and progressively below 100hz. 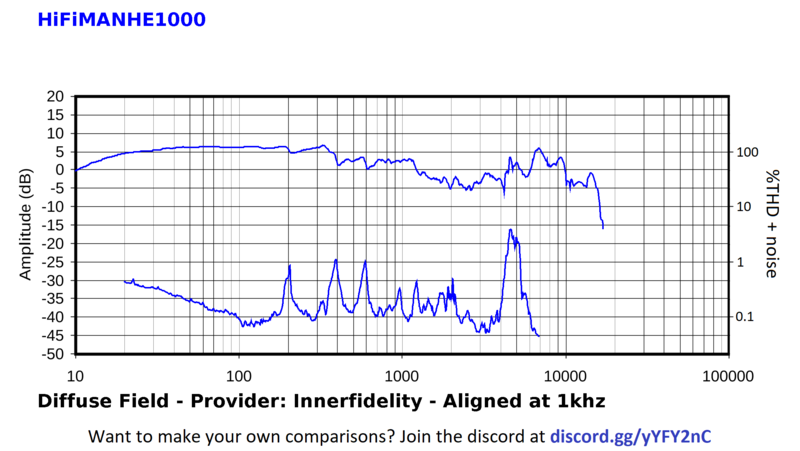 So why do innerfidelity's measurements show a pretty flat response down to 20hz? 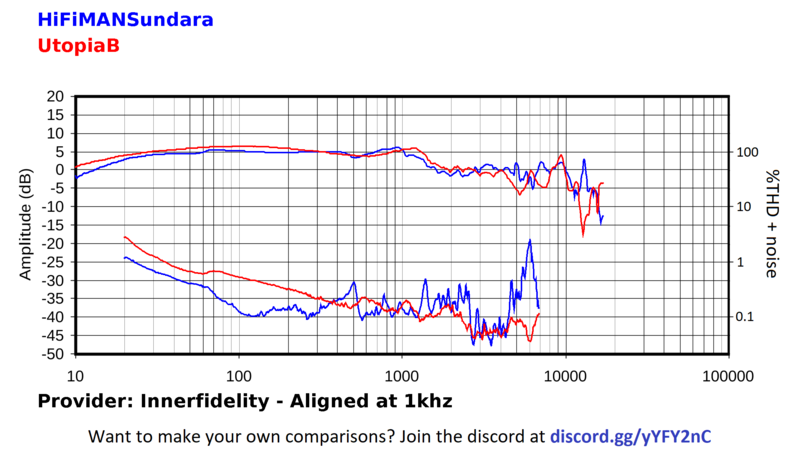 I don't own a HE400i, but I do own a HE4XX (massdrop version - apparantly slightly modified) and I find (via subjective experience, though I am not a "noob" when it comes to HP's) the bass to be right where Innerfidelity's measurements say it should be. Of course, the difference between measurement rigs/methods is also widely know. I wonder how Sonarworks measures HP's, and do their measurements correlate with others (such as Innerfideality's) more often than not, or is there a consistent difference across many model/makes of HP's? Good question. My only complaint about my 400i headphones is that they lack punch in the very low bass range. My Oppo PM3 set is much better in that regard. For me, these reviews (and the follow-up posts) have become far less fun and informative than they used to be. Similar, in fact, to the dreary "impressions" on Head-Fi, most of which are only about frequency response. It's as if F/R measurements and impressions tell us all we need to know about headphones. Truth of timbre, texture, touch, graceful and natural dynamic flow, real instruments in space, the perception of hall sound even in "silence", are just a few things that matter. Such music listening easily reveals, for example, the HE-1000's price justification compared to the HE-560 and HE-400 from the same manufacturer. How about more subjective impressions of products' real musical merit?? Your comment is spot on. Frequency response is important but it isn't everything. Think about tube amps. Many fantastic sounding tube amps have rolled off bass and high frequency. On the other hand, most modern solid state amps have flat response from 20 to 20000 hz. Despite this, many people prefer tube over solid state. to the "objectivist" response that FR combined with distortion pretty much is everything - it is the reproduction of the waveform (i.e. sound - the signal being sent to the HP electrically) and there is nothing "in between" the waveform, no mysterious non-waveform "timbre, texture, touch, grace" etc.? Still have one more album to listen INTO tonight. I agree the difference must be explained through different measuring techniques. But like I said, after listening to test tones from 100hz on down, each time I lower the tone by 10hz below about 80hz, the sound becomes significantly and progressively fainter, seeming to corroborate Sonarworks measurements. What is it exactly that makes you believe Innerfidelity's bass measurements are representative of your HE4XX headphones? Your comment is spot on. The sine wave test is easy to do (you can even use YouTube for that) and reveals exactly what you describe. IMHO this is a problem of how the ear/brain works. Lowest frequencies are not received with the same volume as others, while the air pressure captured by the measurment systerm stays the same - therefore you get a straight line. To really represent what humans are hearing the graph needs compensation below 100 Hz. IMHO Sonarworks not only measures, but puts a self defined compensation curve (like Harman etc) on their measurement rig's output - to better show what you hear. Tyll does the same, but forgot about low bass (bewlo 50 Hz) - he's not much interested in that, it seems. Thanks for your comment. What you say makes a lot of sense. I will also add that after applying Sonarworks EQ, the headphones sound much better. The biggest difference is the increased bass. It sounded too bassy at first, but after some time, I cannot go back to the stock sound of these headphones. Also, when I play the bass test tones with the EQ on, each frequency below 100hz, down to about 30hz now sounds about even. The 4XX has been measured here, actually. Even though it doesn't appear in the databass, Tyll did do a write up on them last year and he links to their measurements in that article. Their measurements are very similar looking to the 400i.